Born in 1950 in Nao di Jonadi (Vibo Valentia, Italy). Lives and works in Milan, Italy. Pino later completed his early studies and was granted a diploma in the arts in Vibo Valentia. Soon afterwards, in 1969, he decided to move to Milan to study at the Brera Academy; a choice that proved felicitous, considering that at the end of his first year of studies he was acknowledged as one of the best students with a group exhibition at Ciovasso Gallery. Meanwhile in Milan, Pino got in touch with the main players in the Milan art scene, including Paolo Baratella and Giangiacomo Spadari, who he later became the assistant to. Meanwhile he got in touch with the world of French art, approaching masters such as Gerard Guyomard, Ivan Messac and the Spanish Arrojo. In the seventies, in a time when culture walked hand-in-hand with political and social events, that Pino started developing his artistic creations and toured them around Italy. He also represented young Italian painting abroad by exhibiting his very personal work in Salon de la Jeune Peinture at Musèe D’Art Moderne, Paris, at Musèe du Luxembourg and at Alvarez Gallery in Lisbon and Oporto. At the same time, in a frantic yet brilliant period of deep inspiration, his paintings were admired across Italy in the Quadriennale d'Arte Nazionale in Rome, and in exhibitions at the Murat Castle in Pizzo Calabro and the Gagliardi Palace in Vibo Valentia. In the late seventies and early eighties the artists developed several murals, both solo and collaborative, that called for social change. 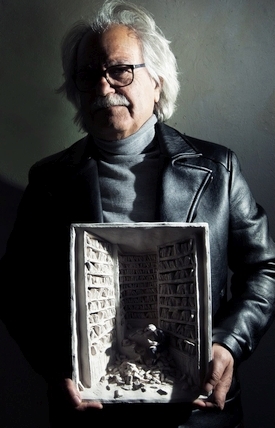 In 1982 Pino resumed his personal artwork and continued exhibiting domestically and internationally, including in Milan (Gastaldelli, Il Milione, Klerks and Cardi galleries), Bologna (Cristofori), Turin (Narciso), Lucca (Poleschi), Benevento (various art events), Forte dei Marmi (Susanna Orlando), and Miami (Ambrosino). He has been commissioned by the Coni (Foro Italico, Rome), the Paolo Pini Museum in Milan, by the city of Turin (Manifesto d’artista) and Sedriano (San Francisco and the Wolf). His work was also featured in the "Videosapere" telecast. More recently, Pino exhibited at Contemporary Art Platform (Kuwait) and artsawa (Dubai, UAE). Pino's paintings that have been inspired by legends and fairy tales such as Tarzan, Tex WIller and Ulysses belong to the Trussardi, Coveri, Castelli, Pikler, Diamini and Manuli collections, amongst others. Magical realism was infused in the artist's work into the nineties. 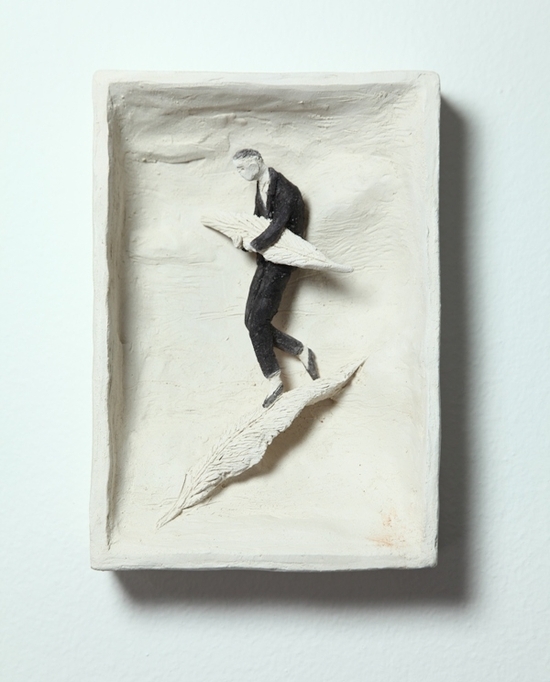 Paintings such as The Firefly Eater and The Man Who Used to Talk with Birds Because Men Cannot Hear Anymore were metaphors for life to the artist who had isolated himself from the confusion of the outside world. These allegorical metaphors are still at work today to tell the story of man, traveling, with successes and disappointments, pulled from the album of his existence. Here introspection and the will to fight on despite obstacles are essential for each individual to define their own space within the universe.